Judge Brinkley argued in her legal docs that Meek Mill is a danger to the community and is a flight risk. She also suggests that his urine test may have been tainted because he may have flushed his system with “Fast Flush.” His attorney is once again furious with the judges ruling and vows to continue to fight for the rapper’s freedom. His lead attorney, Joe Tacopina, says that the judge’s ruling “continues her long pattern of unfair treatment.” He also indicates the he will be appealing the judge’s decision not to grant his client bail. 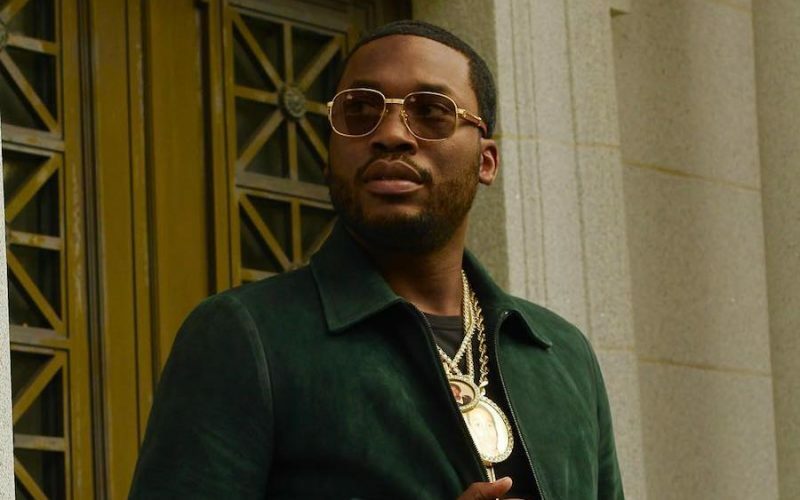 Meek Mill, whose real name is Robert Williams, is currently serving 2-4 years in a state prison for probation violation. He has been getting a lot of support from the general public and fellow celebrities including his rival Drake and The Game, as well as, other celebrities closer to him like JAY-Z and Rick Ross. Reverend Al Sharpton and Colin Kaepernick have also thrown their support behind the #FreeMeekMill movement. JAY-Z penned an op-ed in the New York Times last month where he blasts the justice system for its years of mass incarceration of young black men. He argued that Meek Mill is just the latest victim of a system notorious for oppressing people of color. Last weekend, Hov played Meek’s single “Dreams & Nightmares” at his “4:44 Tour” stop in Philadelphia. He also spoke briefly about the Maybach Music Group rapper’s incarceration.